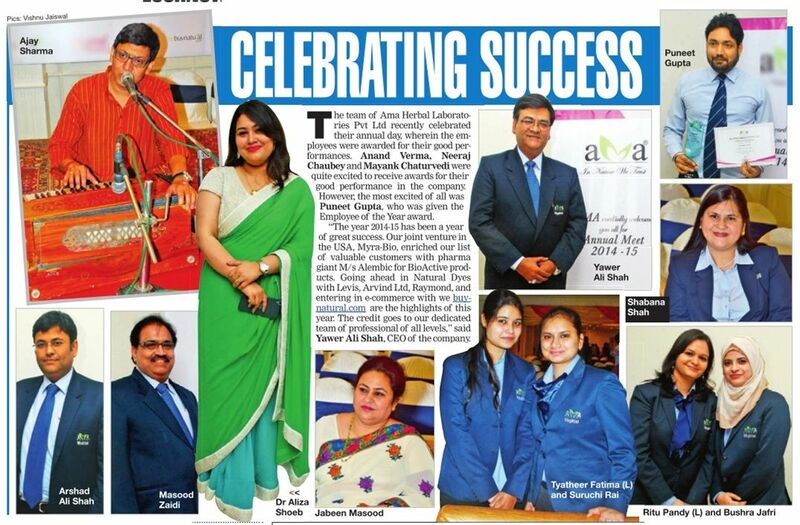 AMA‬ Herbal celebrated its ‪Annual Day‬ with enthusiasm at Hotel ‪Clarks Awadh‬ to mark the success of the year 2014-2015, wherein the employees were awarded for their good performances. However, Mr. Puneet Gupta was most excited among all who was given Employee of the Year award. For more highlights of the coverage please visit The Times of India, Lucknow Times 14th May 2015.